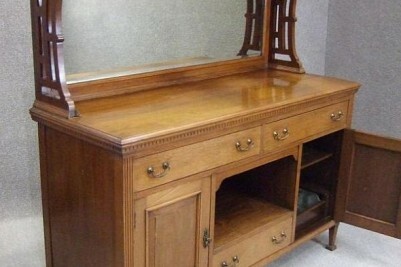 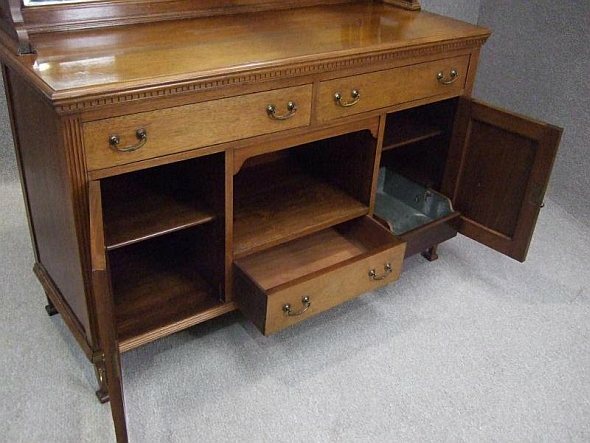 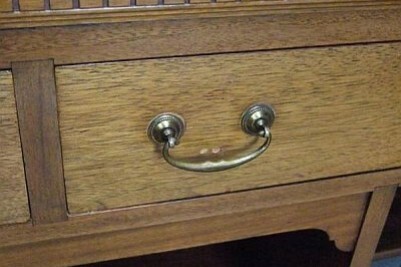 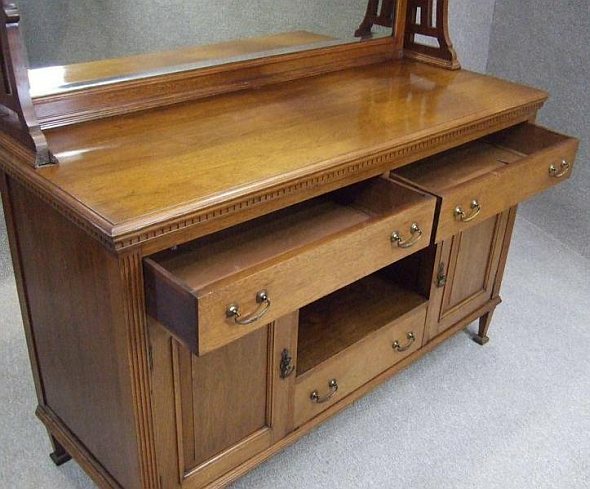 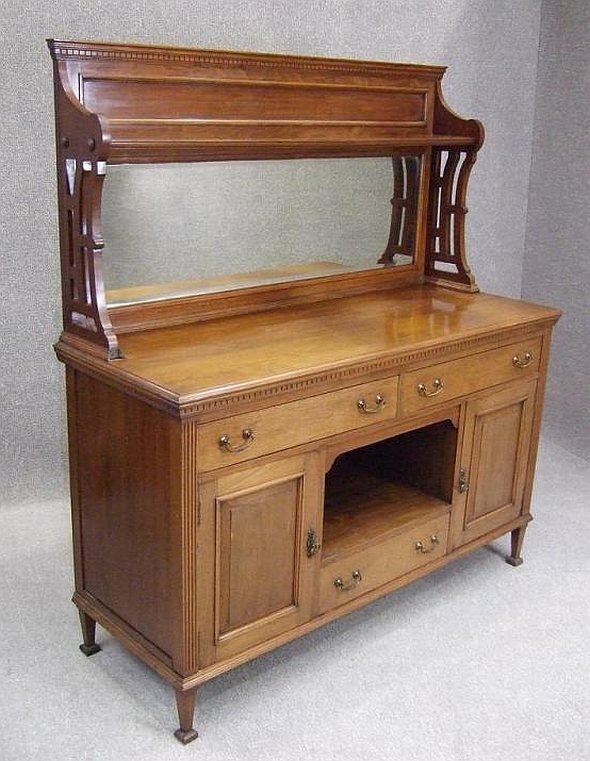 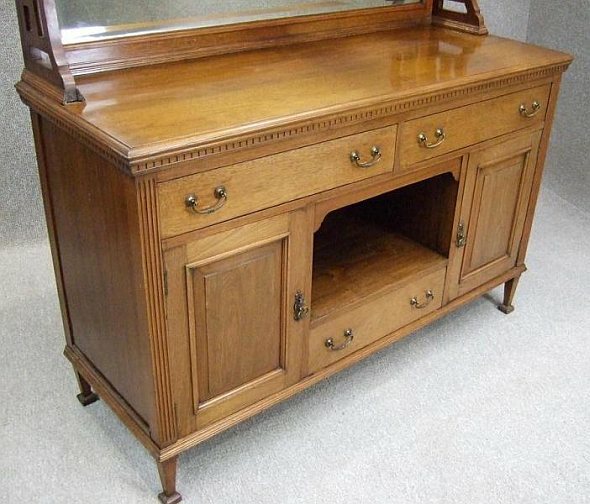 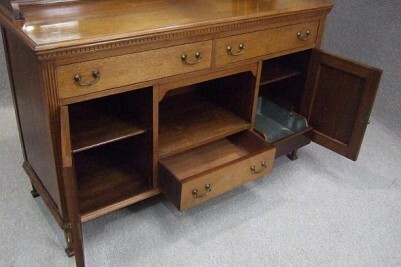 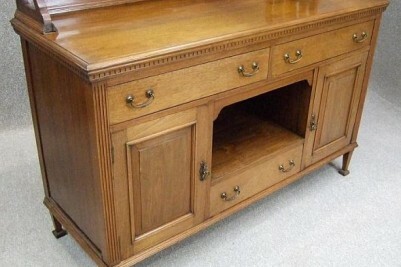 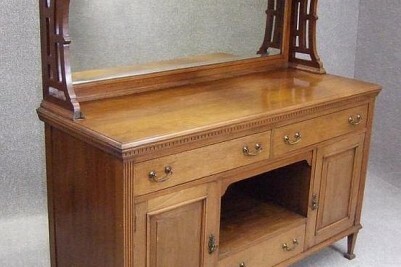 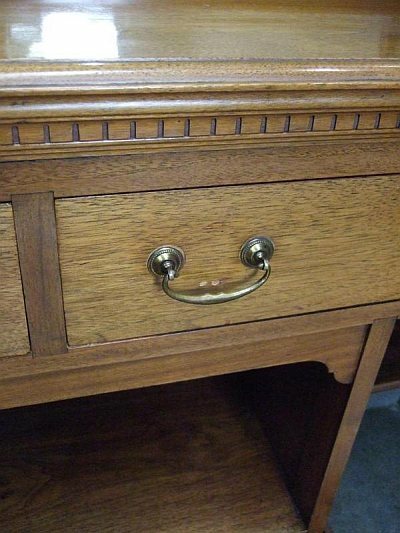 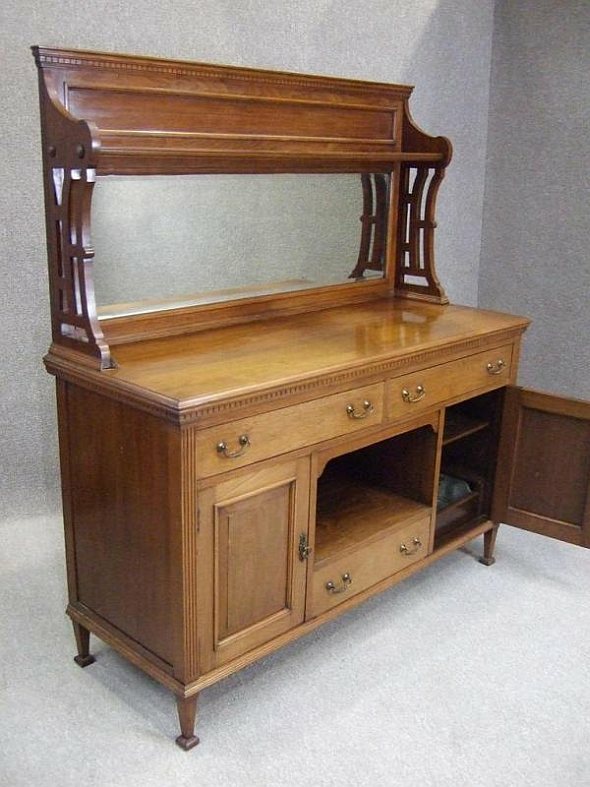 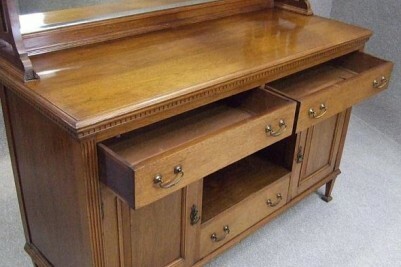 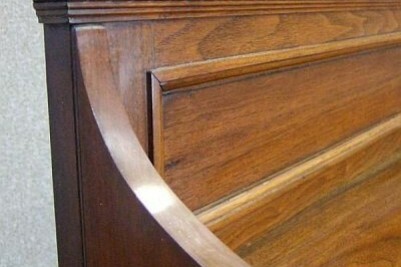 An attractive circa 1910 arts and crafts influenced walnut sideboard. 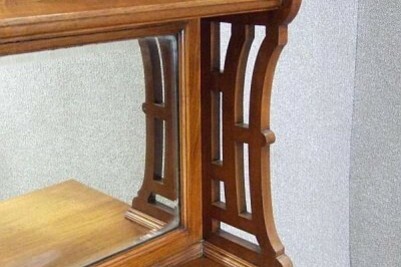 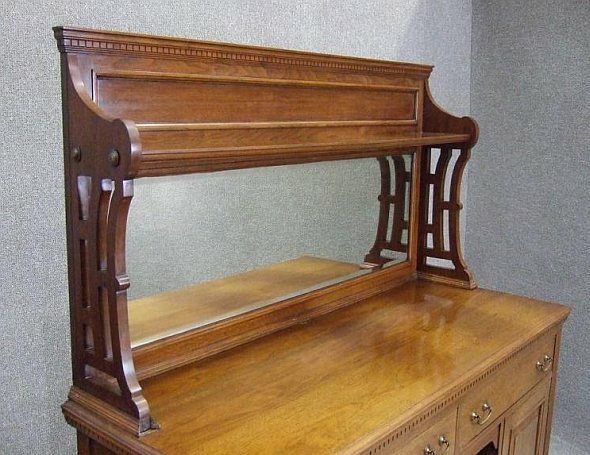 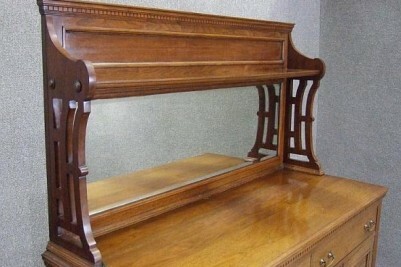 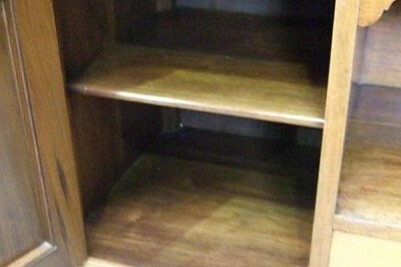 Featuring a single shelf to top, this piece would be ideal for displaying china or pottery. 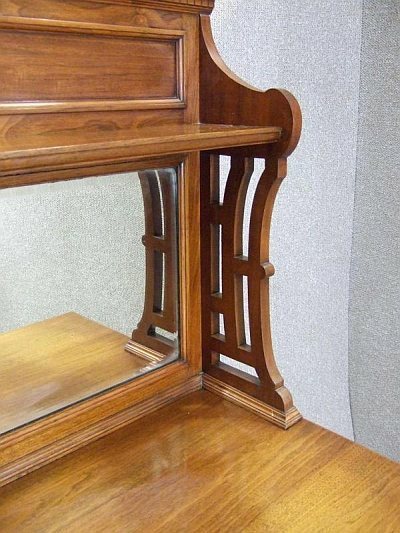 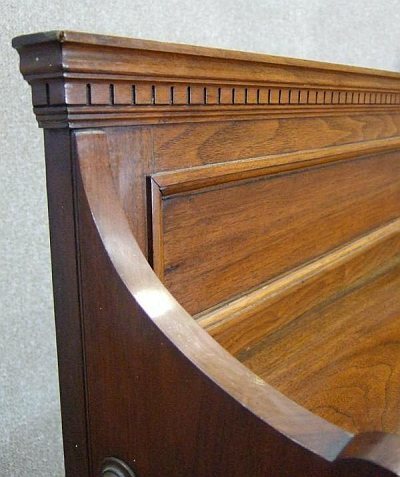 This is supported by fretted sides with a large bevel edged mirror to centre. 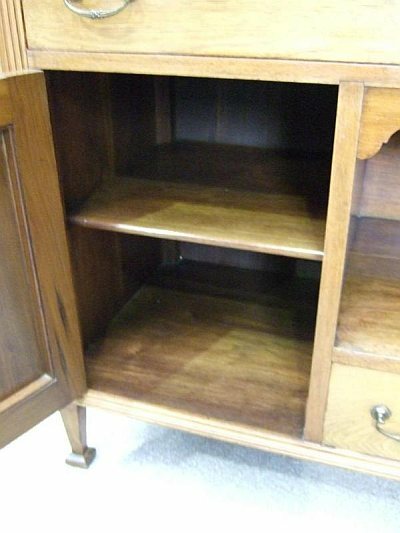 This stands upon a useful base section, with two large drawers to top, two lockable cupboards with cellaret drawer to right side cupboard, an open base to centre and single drawer below. 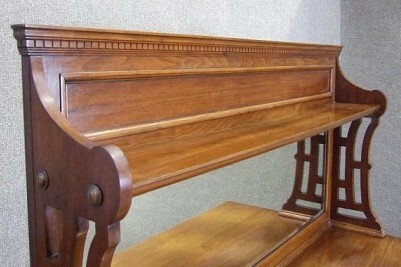 This is finished off with traditional square tapering legs, with club foot design. 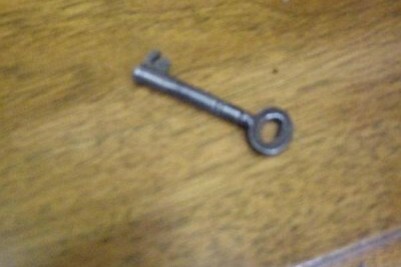 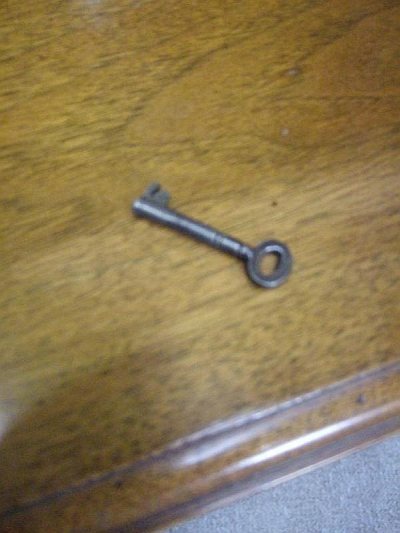 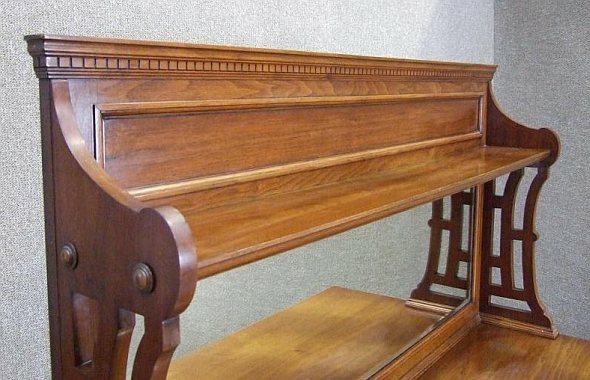 The item is in good condition for its age, with just slight wear and tear expected from a piece of over one hundred years old.